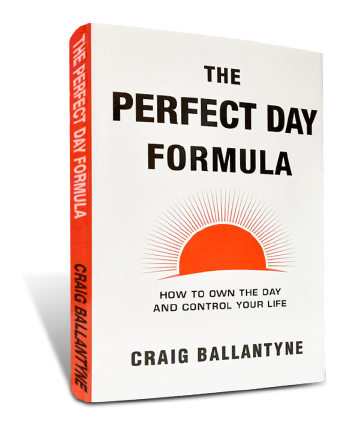 Pre-order the instant bestseller from high-performance coach, author, and entrepreneur Craig Ballantyne. Imagine for a moment what a perfect day would look like for you. Picture the most productive day you've ever had, and then imagine having that every day. For most of us, our perfect day is one where the tasks we accomplish are about more than just getting through the day, but rather about moving ahead in dramatic leaps and bounds toward our big goals and dreams. 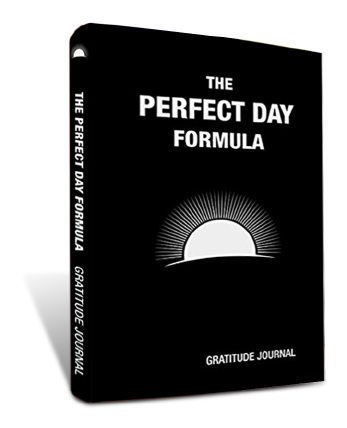 The Perfect Day Formula System of Gratitude comprises two main components: the done-for-you gratitude journal and the 5 minutes you will spend completing gratitude exercises each day. Together, these will lead you to amazing business insights, personal breakthroughs, and more. In the first component, you will start by listing your gratitude for what I call the "one big thing in your life." Then you write down an opportunity that you are grateful to have. Third, you'll list something that you did that day or the previous day that you are grateful for having the chance to do. Next, you'll list something that you are going to do that day that you are grateful to have the chance to do. And finally, you finish with appreciation for all of the people in your life that you want to list. This daily practice has brought an amazing amount of calm and focus into my life. It is without a doubt one of the secrets to my success. The kit that is changing thousands of lives, from stay-at-home parents to entrepreneurs and 7-figure business owners. 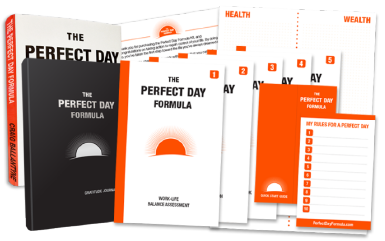 Rooted in the principles of "The Perfect Day Formula," this kit walks you through all of the steps to make change happen in your life. 40 million Americans suffer from anxiety. But the ones who suffer the most are those dealing with Entrepreneurial Anxiety. It put Craig in the hospital twice. Fortunately he stumbled across a proven solution for high-performing executives and business owners that are "too busy for anxiety". In this ground-breaking book to be released in 2019, you'll get the 5 life-changing steps to beat anxiety and keep it away forever ... no matter how much stress the outside world throws at you. 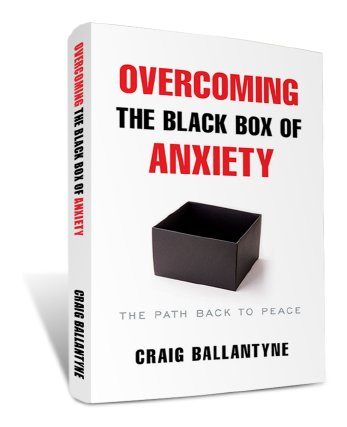 Craig is going to reveal how to build anti-anxiety armor so that you can dominate every area of your life - pain and panic free! Craig Ballantyne and co-author Chelsea Ratcliff explain to you in detail why everything you’ve been told about exercise is wrong. For decades we’ve been told that cardio exercise is the silver bullet against weight gain and obesity and a panacea against heart disease. We’ve been told that hours spent jogging, cycling, and in aerobics classes will repay us with years of healthy (and fit!) longevity. We believed it. Yet today, we are heavier and more out of shape than ever — and likely suffering from overuse injuries incurred from years of prolonged cardio exercise. New research is showing that long cardio and endurance workouts do not get us slimmer or stronger. They do not promote longevity or protect against heart disease. In fact, they may do the opposite by putting excessive strain on our heart, joints, and muscles and slowing our metabolism. 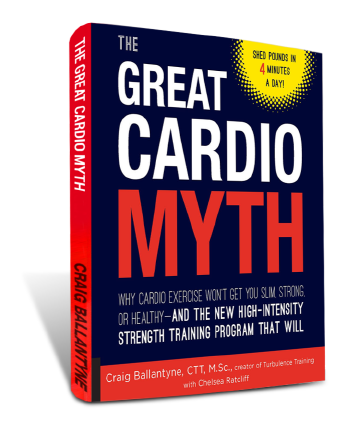 The Great Cardio Myth will show you how to get the same or better fitness results in one-fifth the time of a typical cardio session and de-bunk unproductive exercise habits. Lose weight (and keep it off) in just a few short workouts per week. Keep your metabolism active for hours after a workout. Strengthen and protect your heart, joints, and muscles. Burn through belly fat and other stubborn areas quickly.